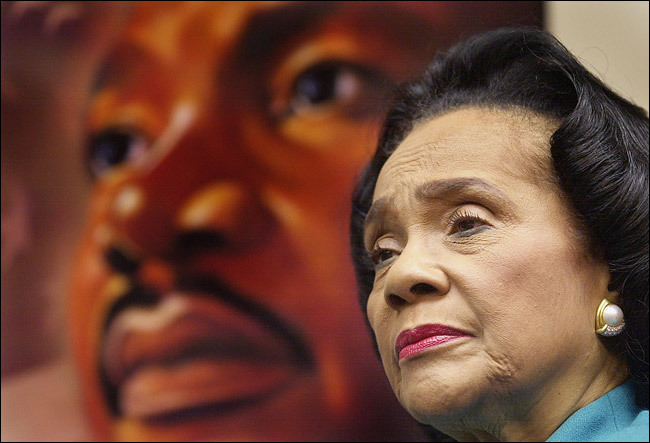 Coretta Scott King, the widow of civil rights activist Martin Luther King Jr., civil rights figure and civil rights icon, has passed away, after failing health since suffering a stroke and heart attack last August. She was 78. I think this is the perfect picture:- a face full of knowledge of things that must change for the better; of struggle, that because of the gravity of the issues, they must be pursued. The heart might be heavy, the road ahead WILL, not might, be bumpy, but there is not an ounce of regret in promoting, raising, and maintaining an unfliching awareness in others that already exists in one's heart. 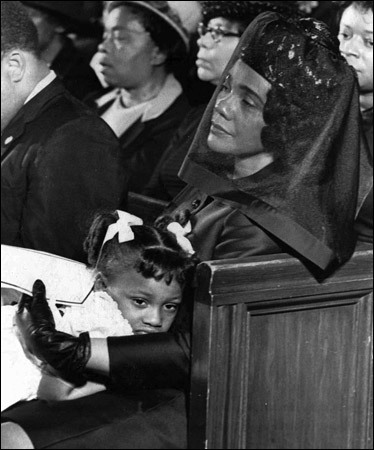 Here's the same face on a younger Coretta Scott King, a forehadowing of struggles to come. I encourage you to look at the whole of the first picture in context. 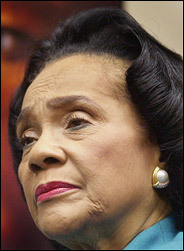 If you're looking for definitive words, quotes and LINKS to coretta scott King, go back under the rock you were living under. Besides, the internet's there for a reason. posted by Tricia L at 8:52 a.m.